If you caught a glimpse of heaven, would you choose to come back to life? Investigative journalist Judy Bachrach has collected accounts of those who died and then returned to life with lucid, vivid memories of what occurred while they were dead, and the conclusions are astonishing. Clinical death—the moment when the heart stops beating and brain stem activity ceases—is not necessarily the end of consciousness, as a number of doctors are now beginning to concede. Hundreds of thousands of fascinating post-death experiences have been documented, and for many who have died and returned, life is forever changed. These days, an increasing number of scientific researchers are turning their studies to people who have experienced what the author calls death travels — putting stock and credence in the sights, encounters, and exciting experiences reported by those who return from the dead. 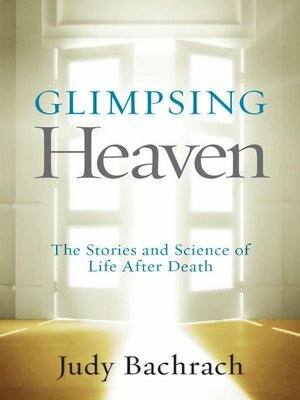 Through interviews with scores of these "death travelers," and with physicians, nurses, and scientists unraveling the mysteries of the afterlife, Bachrach redefines the meaning of both life and death. Glimpsing Heaven reveals both the uncertainty and the surprising joys of life after death.